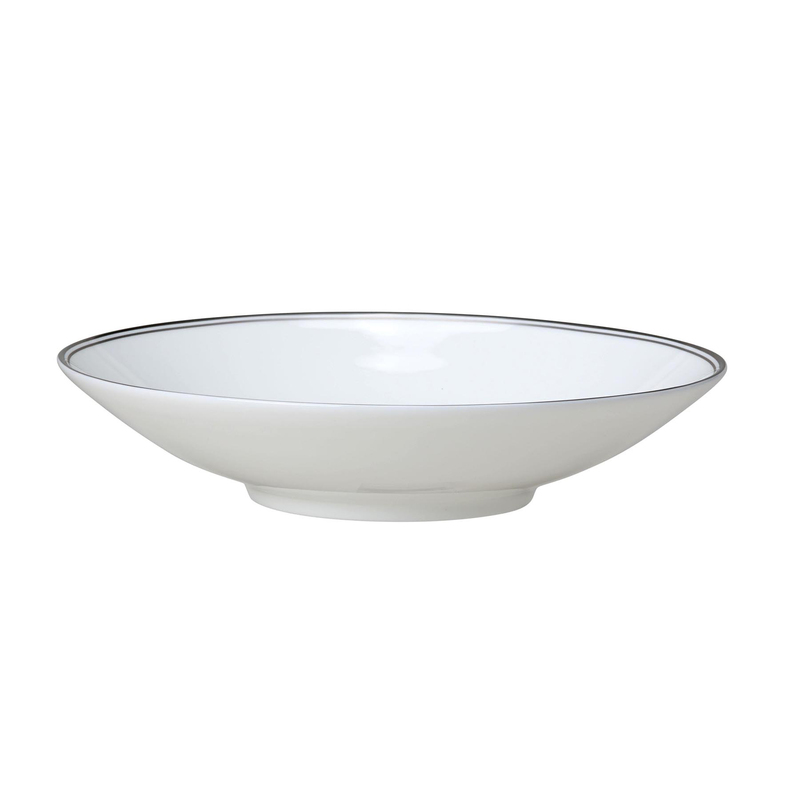 Experience understated elegance while enjoying your favourite pasta dish with the Burnished Platinum Fine Bone China Shallow Bowl 24cm. Designed by our team of craftspeople in Stoke on Trent, this bone china bowl will add a modern yet luxurious finish to your dinner table. Experience understated elegance while enjoying your favourite pasta dish with the Burnished Platinum Fine Bone China Shallow Bowl 24cm. The Burnished Platinum collection uses the highest grade of platinum, which is carefully positioned on this bone china bowl to ensure it’s protected from everyday wear. Designed by our team of craftspeople in Stoke on Trent, home of the world-renowned potteries, this fine bone china bowl will add a modern yet luxurious finish to your dinner table.